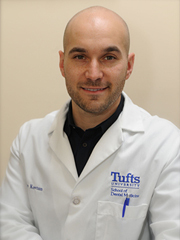 Dr. Stan Kovtun graduated with honors from Tufts University School of Dental Medicine. Before this, he received his bachelor’s degree in biology in UMass Boston. Treatments readily available include cosmetic, restorative, and general dentistry services. This includes cleanings, braces, and full mouth reconstruction. Additionally, this practice offers emergency dental appointments for the unexpected which may occur at any time day or night, including knocked out teeth or severe toothaches.